This could be called the sister of Elizabeth Laird’s book Welcome to Nowhere. Though in that, the book details the progress of a family from Syria to the UK, No Ballet Shoes in Syria details what happens to a small family of asylum seekers once they have reached these shores. With what I suppose are literary flash backs of Aya’s home life before the war and the journey to England. 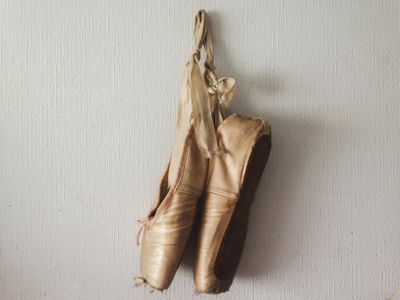 It is an emotional, beautifully written tale, using ballet as a central point of reference – with of course that connection to Ballet Shoes (Noel Streatfield). I know nearly nothing about ballet, however, the terminology and phrases used give a strong ballet-colour to this story. Nosy Crow haven’t given / published the cover that the finished title will have, so I have chosen this image from the Internet. It seemed apposite. Note Catherine’s alter-ego Cate Shearwater is the author of the Somersaults and Dreams books – about gymnastics. 5 Things to Consider Before Trying Pointe Ballet. The picture is credited to ThoughtCo Ballet Dancers and Bruised Toenails. Pointe shoes. Azi is waiting for his grandfather to come home again. He believes that without him he doesn’t belong on the island which has been his home for so long. His uncle tells him that his grandfather has gone to London, but London is a long way away, perhaps though, Azi will be able to go there, and bring him home. Surely he just needs a passport. It isn’t easy being different, a gift from the sea, without his grandfather. All Azi wants to do is to go back to living with his grandfather by the beach. This is a story of a monster, many tentacled and the man who leaves to fight the battle against it. Leaving a boy behind, misunderstanding and misinformed too. This is also a story of new friendship, of friends both canine and human who support Azi, while he waits for his grandfather to return and its a story of hope…oh, and its also about turtles, coming to breed. The picture below is taken from the Internet – a Loggerhead turtle off Kefalonia Island. The book is about two brothers at the beginning of the last war. Both enjoying, words and poetry. One became an actor, the other a teacher. When Hitler changed all of that, one joined the RAF, the other, a pacifist, leaves to work the land. What happens next changes both their lives forever and one finds himself in the jaws, ‘in the mouth of the wolf’. Michael Morpurgo needs no introduction. This book is of his usual calibre – in addition a personal history from this extraordinary author. The book is illustrated by Barroux – simply, but powerfully. This is not one to be missed. It is to be published in hardback; I hope that, in addition, Egmont gives it good quality paper too. This is an important volume. A re-imagining of The Little Mermaid. That aside, I have just gone downstairs and found it. Yes, I still have it – its in ‘good’ condition. Well, what would you expect from a girl brought up by an antiquarian bibliophile? I suppose I should really say, the daughter of a bibliophile who collects antiquarian books. Dad may be in his 80’s, but he’s not antiquarian, yet. It is a hardback picture book version with illustrations which are slightly dated, (none the worse for that) and pale; the book wasn’t printed on art paper. So it was a subtly produced volume, the colours were muted. Rather lovely. 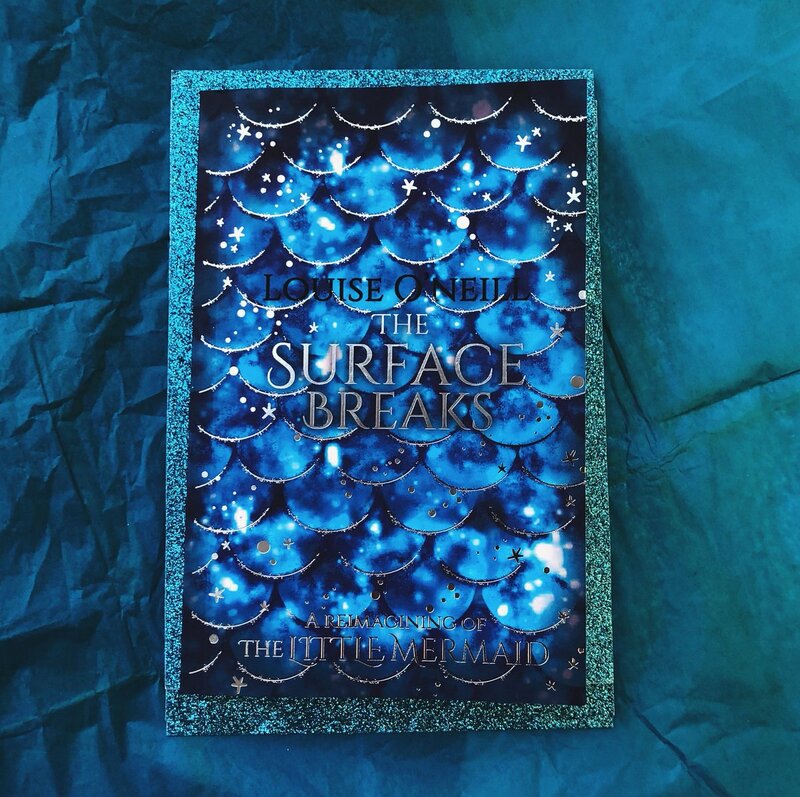 I vaguely remembered the story when I received my proof of The Surface Breaks, but not in any great detail. This edition, is without doubt a teen / YA book – written just as Hans Christian Anderson wrote his tales. Without doubt this is a new rendition he would have approved of. It is a story of coming of age. The patriarchal oppression of women. Of bravery, love and ultimately, sacrifice. This is not a ‘Disney’ version of this tale – it is a strong punchy and determined shout. Dark and twisted. The cover on the proof has some rather lovely mermaid scales – whether that will translate through to the finished book is in the lap of the ‘Book Gods’.